Results are everything to our team at HawkSEM, both in terms of the growth that we usher our clients toward and in terms of the personal progress that our entire team achieves. Through our focus areas of social media marketing, SEO, conversion optimization, and PPC, HawkSEM scales revenue and launches every customer to unprecedented heights of profitability. We love seeing clients rack up results that make them happy, but we’re also excited to share some news celebrating HawkSEM. 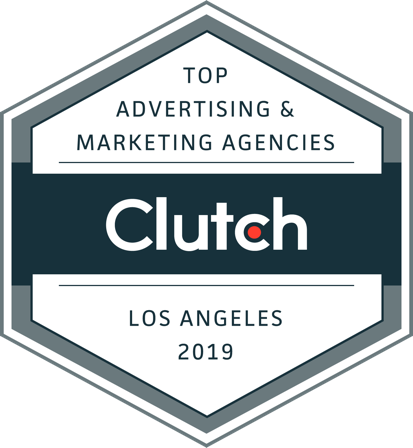 Clutch, a Washington, D.C.-based B2B research and reviews agency, recently published its listing of firms with the top PPC management services around, and we earned one of the top-10 spots in a field stacked with over 200 competitors. presence, operations, and industry experience, among other criteria that Clutch analyzes in creating and compiling its rankings. Beyond the hard data that factors into company evaluations, client feedback also weighs in strongly. The Manifest and Visual Objects, sister companies to Clutch, also speak highly of HawkSEM. Business news and insight website The Manifest highlighted our team in its round-up of the top SEO services in Los Angeles, while Visual Objects, a portfolio curation platform, listed our design and development experience in a showcase of firms with superb digital marketing experience. In a busy advertising and marketing scene, HawkSEM relishes knowing that we’ve distinguished ourselves from the pack with our exceptional strategy and skills. Whether you’re looking for PPC, design, or SEO work, your growth and profitability are ensured and safe in our hands. Reach out to us here to learn more about out the results that you’ll achieve with us – we look forward to collaborating to scale your success together! This entry was posted in Blog, PPC Management on March 6, 2019 by Greg. Without the right strategy, a digital program has no chance of success. At HawkSEM, we focus on maximizing revenue through ROI driven campaigns. We do this by targeting the right people, at the right time. This is especially important as personalization only grows more significant in the search marketing space. We’re always thinking about ways to improve. Recently, we joined Clutch, a B2B ratings and reviews platform. 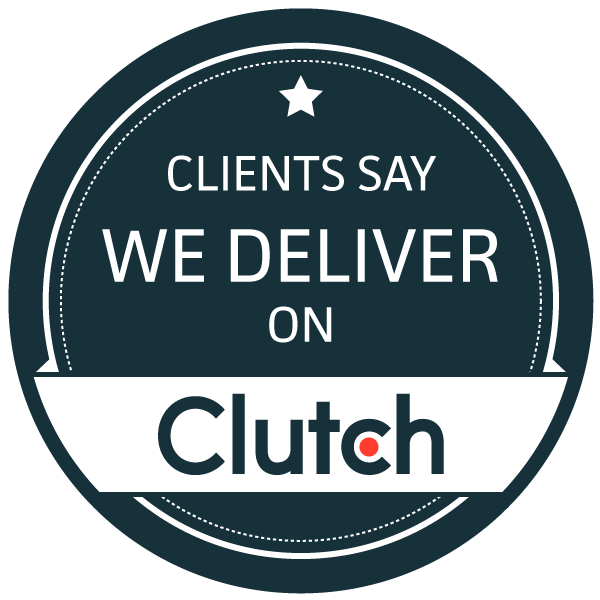 Clutch uses data, qualitative insights, and client reviews to evaluate the companies featured on their platform. In the pay per click category alone, there are 2953 firms! It’s a competitive industry, and the world of search is always changing. For this reason, we’re grateful to have anything that can help us show prospective buyers our unique approach and proven results. Our team could not feel better about receiving a perfect, 5 stars from our clients. On Clutch’s sister website, The Manifest, our company is also featured in quite a few categories, including social media, another marketing technique that demands a skilled and trustworthy partner. HawkSEM is excited to continue explore the possibilities of marketing with new partners. If you’re also a business looking to leverage the latest technologies and trends to meet their goals, contact us today to get started. This entry was posted in Blog on June 20, 2018 by Greg. How much are you spending on SEM every year? North American advertisers spent nearly $20 billion in 2012 alone. With that much money being thrown around, it’s important to focus on SEM and PPC marketing campaigns that produce real results, year after year—in other words, ensuring that the money you spend provides you with a significant ROI. If you’re a digital marketing manager or CMO, you need to possess the resources and knowledge to properly measure ROI to be successful. Here are 5 helpful practices to improve PPC results, year over year. To properly track ROI from PPC campaigns, you’ll need to have robust tracking tools (not just conversion tracking on Google AdWords), the latest technology, an experienced team, lead scoring and a detailed reporting system. The technology should be able to track specific keywords, ad copy, landing pages, ad position, and other factors that determine which visits lead to conversions. From this point, you can include these keywords into your CRM. After, your sales team has spoken to each lead, they must give it a score (we like to use a 5 star system). All this data together ties the loop to properly track ROI. Tracking goes above and beyond merely slapping a tracking code on your website and assuming the situation is now being handled. You may get some basic statistics from doing this, but how can you boost ROI based on this alone? As mentioned, you need to have the proper technology to really track effectively. Keyword targeting is critical. Once you discover which keywords are generating the best leads, you’re well on your way toward developing an ROI-centered marketing campaign. In addition, there are multiple programs out there that can assist you with new keyword ideas, variations on keywords, and synonyms. If executed properly, your landing page will be clear, concise, and conversion oriented. Verify that the landing page is not linked from anywhere except your PPC campaign to ensure effective tracking. By developing unique landing pages for specific ad groups/keywords and utilizing Dynamic Keyword Insertion (DKI), you will increase your conversion rates. When it comes to budgeting SEM, most people have their bidding strategies backwards. Your campaign needs to be built around the understanding of what ROI ratio you are trying to achieve. If you are bidding a specific amount of money because you know what position it will put you in and what kind of traffic it will generate, and then multiplying that number by the conversion rate, you are going at things completely backwards. Are you properly tracking ROI from PPC? If not, we would love to help you get all set up, get in touch with us today. This entry was posted in Blog, PPC Management on May 5, 2015 by Greg. So you’ve finally made the commitment to go all-in on a full scale PPC campaign. That’s great, yet there’s just one problem: so have quite a few others. Competition for keywords drives the prices publishers will charge for them up. Ultimately, you could easily see yourself spending more to generate new leads through PPC than you could recoup through actual transactions. Start by looking within: Look at your best customers. Analyze the feedback that they give as to what marketing tools brought them to you, and then focus your new acquisition campaign on that content. Focus on specific keywords: Analyze search queries and results to see what specific keywords or phrases are uniquely relevant to your company. Too often, companies allow vagaries to limit the effectiveness of their search words or terms. What makes your ad “clickable?”: The “clickability” of your ad depends largely on the relevance of the keyword it’s built upon. Connecting keyword relevance to click conversions allows you to enhance your ad’s effectiveness. Eliminate strays: While many focus all of their attention on creating new content, you should also not forget the potential of that which you already have. Examine your paid ad for language can be misleading and produce unwanted or unproductive clicks, and then eliminate it. Look at what you’re offering: Are you losing customers because you offer too much online, thus giving them no incentive to convert from casual observers to paying customers? Remember to give them what they want initially, yet leave them wanting more. Look at what you can pay, not what you’re willing to pay: Review the historical PPC conversion data from other companies within your industry, or your own if you’ve already engaged in PPC advertising. Do you notice a steady conversion rate? Comparing the difference, if any, between your goal customer acquisition cost (CAC) and the actual conversion rate gives you a baseline figure at which you should pay in order to make ensure your PPC campaign’s profitability. Optimize: While focusing on a baseline of profitability keeps your head above water, you don’t want to end up simply treading it over the long-term. Look for every opportunity to improve your conversion rates compared to your CAC. Contrary to popular belief, you can help set the price for your PPC, allowing you continuous and cost-effective customer inflow with a near guarantee of high conversion rates. Yet reaching such an internet marketing utopia requires a fair deal of savvy. Don’t worry, we’ll provide the savvy. Our team here are HawkSEM knows what it takes to mount a successful, cost-effective PPC campaign. Let us put that knowledge to work for you. Give us a call and let’s see if we can help reach your goals. This entry was posted in Blog, PPC Management on October 20, 2014 by Greg. When looking at a big business from the outside as a small startup, large companies seem to have no worries when it comes to balancing the budget. It almost seems as if they have money to burn on advertisements and do not need to care about increasing the ROI of PPC advertising. This impression could not be further from the truth, which is what many once-struggling businesses discover after they reach a certain level of success. Google AdWords is one of the most popular and most important marking tools available to businesses of all sizes, and in order to connect with potential customers, companies must have a strategy for cost-effective customer acquisition bidding. This seems straightforward enough: a business bids for the right for their content to appear next to relevant search results. This in turn equals clicks and potential revenue. However, just like any other aspect of economics, it is rarely so simple. Spending your advertising budget wisely is more important than having a large marketing budget in the first place. No matter how much money you throw at SEO, PPC, or CPA, if your content is irrelevant to what your business offers or you focus too much in one area only, your ROI will be mixed at best. Many people strive to reach the number one spot at any cost without realizing that spending the extra money is not always worth it. One of the best aspects of the conversion system is that it can analyze the ROI of using more money for a higher ranking. Sometimes, it is better to sit tight at number two in order to balance costs. One of the most important things to realize about search engine marketing of any kind is that the content and quality of your ads and landing pages directly translates into more affordable CPA. The better your copy, the less you have to pay for getting it onto the top of the ratings list. If your content is poor, you will be required to pay even more to get it pushed forward. Rotating your advertisements and updating your keywords is a great way to keep your content refreshed and without spending more on bids. For the most current and effective marketing strategies like this, it is best to look toward the professionals. Stay on top of rising customer acquisition costs with the help of HawkSEM. To speak with one of our experts, call 800-316-2220 and be prepared to have your current marketing plan perfected, trimmed, and made to be as efficient as possible. This entry was posted in Blog, PPC Management on September 29, 2014 by Greg. Analyzing year over year PPC data is not as straightforward as many marketing managers think. You have to connect trends in sales and trends in PPC campaigns beyond the number of dollars spent on PPC campaigns and revenue for a comprehensive PPC ROI report. You need to acquire meaningful data initially with keyword technology that tracks every conversion. A CRM system with an integrated lead scoring system can identify money keywords and give you a solid idea of what you can expect when highly qualified leads click on PPC ads. Other effective tools in initial and ongoing data acquisition and analysis include value track parameters, keyword conversion scripts, landing page conversion tracking, and a comprehensive CRM. Determine the cost per lead and total revenue generated per lead. The formula is relatively simple: divide the total revenue acquired by the total number of leads in any given timeframe. Lead revenue can be calculated monthly, quarterly, biannually, and annually. Leverage the value of big data with the value of personal experiences from top customers and clients. Instead of only looking at the general connection between PPC traffic and sales, connect specific clients with specific PPC ads. It is important to separate the amount of ROI PPC campaigns are actually accountable for. PPC campaigns that generate highly qualified leads are more valuable than PPC campaigns that generate generic site traffic. Develop a number of metrics to look at in the long-term. See what returns from PPC campaigns look like over time, and develop a number of meaningful data points that represent ROI, not site traffic. YOY returns give necessary insight to the overall efficacy of different parts of PPC strategy, not just general conversion rates. Track efficacy and improvement in order to change money keywords, lead scoring, and CRM systems to drive ROI. Naturally, the last step is to rinse and repeat. After all components are in place, get the most out of the data that provides answers instead of interesting statistics. Continue to drive ROI with PPC campaigns, not generic site traffic. At HawkSEM, we specialize in ROI. Request a consultation or call us at 800-316-2220 today for more information about how you can maximize returns with PPC. This entry was posted in Blog, PPC Management on August 21, 2014 by Greg.